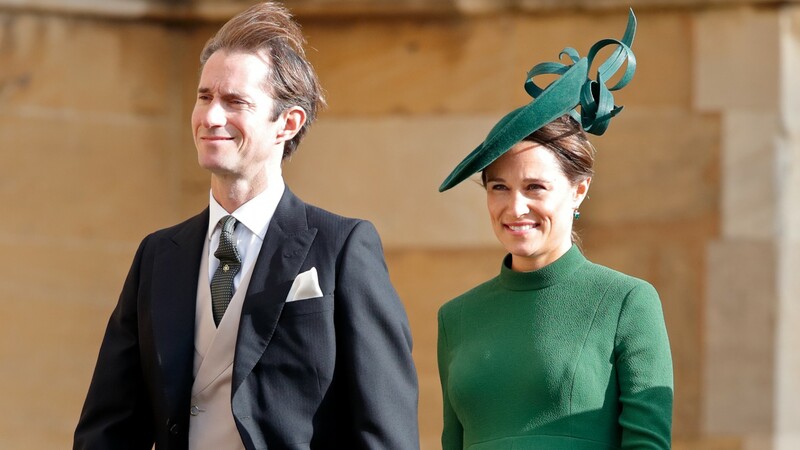 Nearly a month after Pippa Middleton gave birth to her first child with husband James Matthews on Oct. 15, we finally know their son's full name. It was previously kept under wraps, but the Daily Mail acquired the birth certificate and released the information on Sunday along with theories about the name's meaning. According to reports, Middleton and Matthews named their first son Arthur Michael William Matthews. His first middle name, Michael, is believed to be for Middleton's father as well as Matthews' brother, who died at just 22 years old while climbing Mount Everest in 1999. Honoring his memory with their son's name makes sense — especially since the couple has done a significant amount of work raising money for education projects in Africa and Asia through the nonprofit Michael Matthews Foundation. As noted by Us Weekly, the new baby also shares a middle name with his cousin, Prince Louis — Prince William of Cambridge and Catherine, Duchess of Cambridge (aka, Pippa's sister, Kate Middleton) named their 6-month-old son Louis Arthur Charles. William's middle name is also Arthur, as is Prince Charles'. Us previously reported Middleton gave birth to baby Arthur at the private Lindo Wing at St. Mary's Hospital, which is where Kate gave birth to all three of her children. He was born just hours after Prince Harry of Sussex and Meghan (née Markle), Duchess of Sussex, announced they are expecting their first child in the spring. We're certain Kate is providing awesome advice to her little sister, and we wish Middleton and Matthews the best of luck on their new journey as parents.